Since I’ve got more spare time, I started working out! It feels so great to challenge your body. Anyway, I am totally in love with Cassey Ho from blogilates.com! She’s such an inspiration to me and she really motivates me, which is hard! Also, my timing couldn’t have been better. 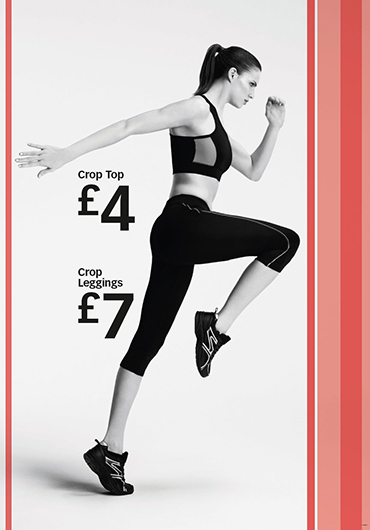 Primark just introduced us to a great workout collection!What’s not to like about fashionable and cheap workout clothes right? That’s why I already bought myself a crop top. Next week I am going to buy leggings, a yoga mat and not to forget some trainers. Wearing lovely clothes makes working out even better! We’ve got to keep it fashionable at all times. LOOK OF THE DAY: What exactly?